I have been given this product as part of a product review through the Chronic Illness Bloggersnetwork. Although the product was a gift, all opinions in this review remain my own and I was in no way influenced by the company. When it comes to all the medications I have to take, I feel like I’ve become a cross between a master Las Vegas casino dealer and a master compounding pharmacist. Having to take all this medicine in the first place is a giant pain in the neck (although I am grateful that it gives me the ability to function as well as I do). But having to cut pills into smaller doses, especially if the pill are tiny, adds an additional level of annoying onto things. 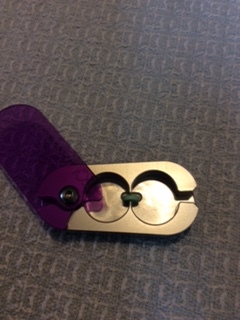 So I was excited when I was offered the chance to try out a new type of pill cutter. 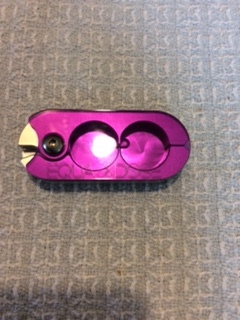 In exchange for reviewing it here on the blog I was sent an Equadose Pill Splitter created by Shannon Triplett, a nurse, and her engineer husband, Tyson. 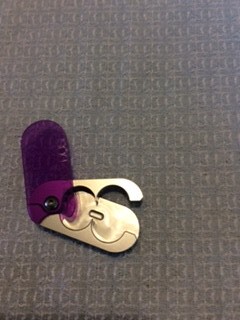 The blades come in from the sides, instead of from the top down as in regular splitters. 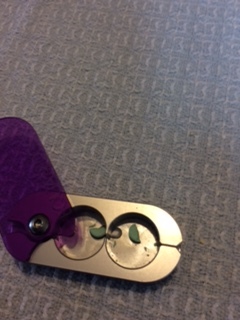 I immediately put it to work on my smallest pill, the one that always crumbles if I try to cut it in half. 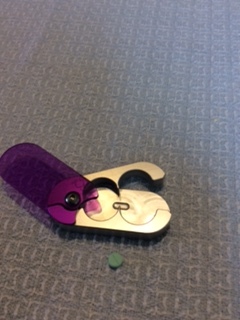 To cut a pill this size with the Equadose splitter you stand it up on its end, perpendicular to how it’s positioned in a regular pill cutter. You can watch another video here, where Shannon tests out a variety of different sizes and shapes of pills. When I was in college I sang in the Choral Union, and our choir director was Dr. Brian Gorelick, the brother of Kenny G.
Leave your comment by Midnight (12pm) Eastern Standard Time on Friday, 2/26. Mr. Cranky Fibro Girl will randomly draw two names over the weekend and I will announce them on Monday, 2/29. Hmmm, I have been trying to think all morning of a fun fact about me. I don’t believe I’ve ever met a “famous” person or one of their siblings/family members. Let’s see, a fun fact about myself? That would be the fact that I totally have brain fog as thick as pea soup right now and I can’t think of anything fun or factual about myself. Yikes.